Ever since Republican presidential front-runner Donald Trump said he wanted to build a wall on the U.S.-Mexico border, immigration has been a key issue in one of the most contentious election cycles in recent memory. And for Shark Tank’s Robert Herjavec, the mostly negative rhetoric spewed by Trump and others hit very close to home. “My back always gives out whenever someone talks about immigration in a negative way because I see nothing but positive,” he told Adweek. So Herjavec, who was born in Croatia and moved to Canada when he was 8 years old, is looking to shine a positive light on immigrants simply looking for a better life. Neither would Beatriz Acevedo, who came to the U.S. from Mexico and co-founded the Mitu network, which makes web videos for English-speaking Latinos. Acevedo will be the first person profiled in a new video series hosted by Herjavec for Inc. magazine that debuts this week. Though the franchise has to date existed exclusively in print, Eric Schurenberg, Inc.’s president and editor in chief, saw an opportunity to expand it. “We had just noticed that so many of our feature stories were these heartrending, inspirational ‘Isn’t America great?’ kind of stories,” he said, and in Herjavec, Schurenberg saw someone who could intimately relate to those up-and-coming entrepreneurs. “He was kind of inspiration chronicle himself,” said Schurenberg. 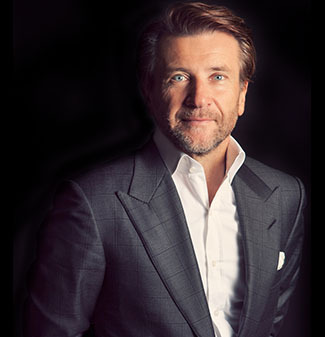 For Inc., the partnership is a chance to capitalize on the popularity of Herjavec, a self-made success, among the 37-year-old magazine’s readership. “Recognizable names in the entrepreneurial community tend to drive traffic to us,” Schurenberg explained. Each episode of The Inspiration Chronicles will be 10-15 minutes, longer than Inc.’s typical digital series like How I Did It or Drinks With… that are from three to six minutes long. “Our strategy is to shift ever more of our traffic into this growing medium,” Schurenberg said.